Unlike most online firewood suppliers, we deliver your logs ourselves – and we leave them exactly where you want them. At The Log Store Group, we take deliveries seriously. 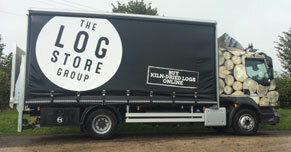 We know that waiting around or getting your logs left on the pavement is no help to anyone – so we do it differently! To make it even easier, if required, we can deliver in two-hour time slots – meaning you know when we’ll be with you. But if you’re unable to meet us for the delivery, then no problem. 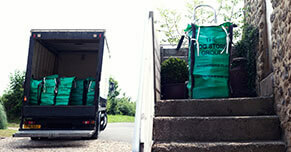 Our flexible and reliable service delivers throughout Dorset and South Somerset. 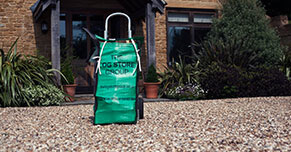 If you’re not 100% happy with your logs or kindling on delivery, we will give you a full refund on all full bags. No quibbling. And Delivery is free when you order £100 or more within Dorset and South Somerset.